Leprechauns live only in Ireland, which is also known as The Emerald Isle. It is said that Leprechauns are a type of male fairy and are a class of fairy folk that live near Fairy Rings, which are ancient Celtic earthworks or drulins. The word Leprechaun is Gaelic for shoemaker, which makes sense because the occupation of a Leprechaun is a shoemaker to the fairies. 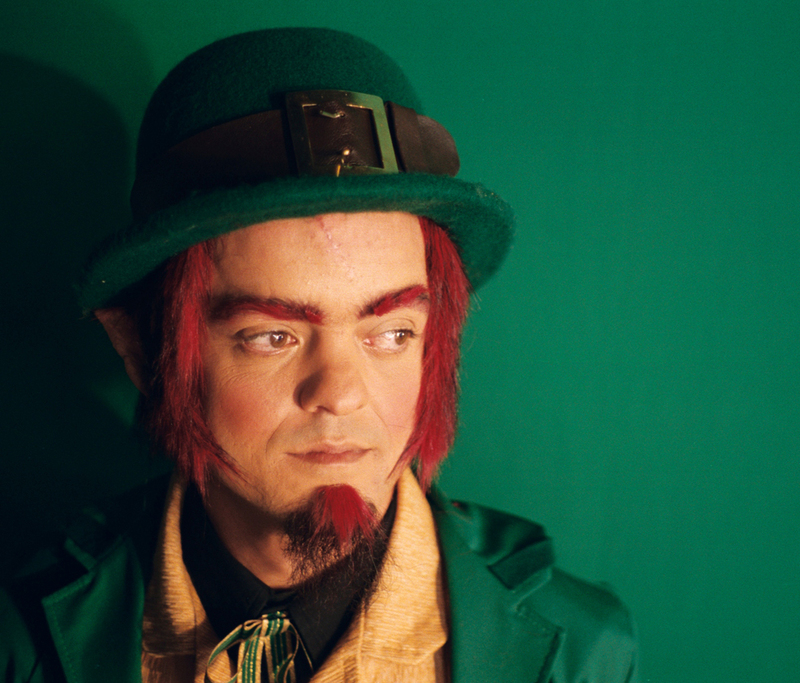 According to Irish mythology, Leprechauns were once mighty warriors. An evil magician and his army conquered Ireland in a battle and banished these mighty warriors to live underground. Years later, the warriors emerged from the depths of the Earth as Leprechauns. Want To See A Leprechaun? Some say these dwarf-like creatures who strongly resemble men live inside a mountain — a giant cave has a door that can only be opened by a magic word, spoken by the Leprechaun King. 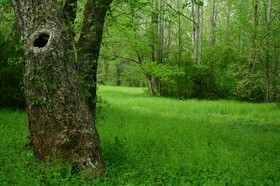 Others believe that Leprechauns live in roots of trees. Yet another rumor insists they live in hedgerows along the country lanes of Ireland and are often seen by those cycling Ireland. The truth is that Leprechauns live in fields, plains and woods and are very shy creatures who are seldom seen. Try to spot a Leprechaun! This Leprechaun webcam is hidden in a field on Coogan’s ancestral farm and straddles a border between the farm and the Fairy Ring. It is said that most Leprechauns live for about 300 years. The older they get, the more tricks they play. If you ever see a Leprechaun, you can’t mistake it. Leprechauns always dress in green frock coats that have silver buttons. Their trousers are black, have large silver buckles and the toes are said to be curled upwards. Their green hats resemble a top hat and have big, silver buckles on the front. They wear leather cobbler’s aprons because they are shoemakers. Leprechauns spend their entire lives collecting and hoarding gold coins. These coins are kept in a large, cast iron pot. No one knows where it’s kept but some people say a Leprechaun’s pot of gold can be found at the end of the rainbow. Beware! Leprechauns will do anything to protect their pot of gold from being stolen. If you are ever lucky enough to catch a Leprechaun, hold him tight and don’t take your eyes off him for even a second. A Leprechaun cannot escape as long as you are looking at him, but if your eyes move away, he will be gone in a flash! He will use all kinds of trickery to get you to take your eyes off of him, so be very wary. Once your gaze falters, the Leprechaun will vanish without a trace. 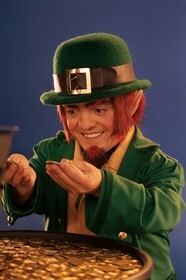 If you squeeze a Leprechaun real tight and hold on, he will give you his pot of gold for his freedom. Many Irish folk have claimed to have caught Leprechauns, but to this day, no one has ever been able to successfully catch and keep a Leprechaun until he gave them his pot of gold. It seems Leprechauns always manage to escape. If you really want to catch one, you might want to make a Leprechaun trap. So, if you’re ever walking down an Irish lane and hear a tap-tap-tap, go to the hedgerow or look into the hollow of an ancient tree, sneak up and have a peek. Chances are, you will see a Leprechaun making fairy shoes. If you are quick, maybe your can even catch him! If you can keep your eyes on him at all times and outwit the little trickster, then you will be the proud owner of a genuine pot of gold.